Director of Photography Josh started working in the industry at a young age, learning his camera and lighting skills as camera assistant and lighting assistant on various low budget film and commercial projects whilst studying Film and TV production at Nescot College. Josh then went onto study at Ravensbourne University where he balanced furthering his education, and working as a Camera Operator when given the opportunity. 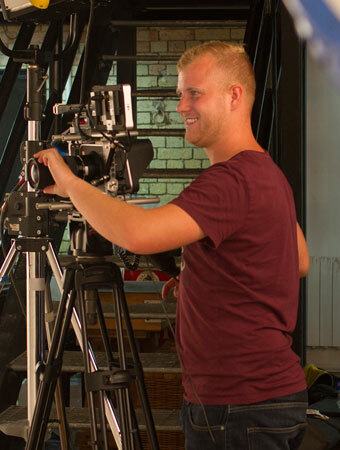 Once Josh had graduated he became a full time Freelance Cameraman and has shot a range of projects including: Promotional and commercial videos, documentaries, music videos, short films and corporate video. Josh also specialises in Steadicam and Camera gimbal operating with Movi and Ronin systems, enabling these skills to compliment his camerawork. He also has a extensive knowledge of lighting for various different situations, genres and production types. Josh has worked with a variety of different production companies and brands including: BBC, Endemol, Thomas Cook and Red magazine and had the opportunity to work with celebrities such as The Saturdays, Jamie Oliver and John Motson. He regularly works with us at Silvertip Films including recent music video shoots as Director of Photography and the Thomas Cook shoots in the Canary Islands as lead cameraman and Movi operator on many shoots as well as directing and filming an increasing number of our projects. Josh is a well travelled cameraman and has had the opportunity to work in many different countries as well as the UK such as: Mozambique, Slovenia, Egypt, The Canary Islands and various places in the USA. Josh's favourite film is Road to Perdition.